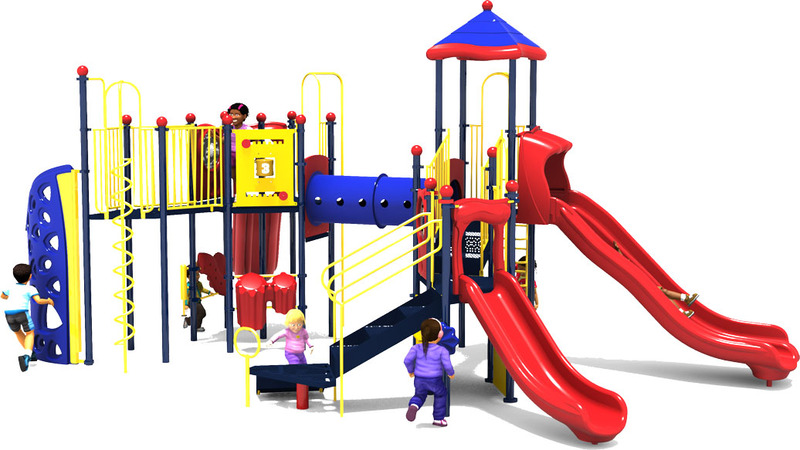 The Eagle's Nest is a large and action packed play structure from leading commercial playground equipment supplier, American Parks Company. It features 18 activities that will engage up to 50 children ages 5 to 12 years old in outdoor fitness and fun. 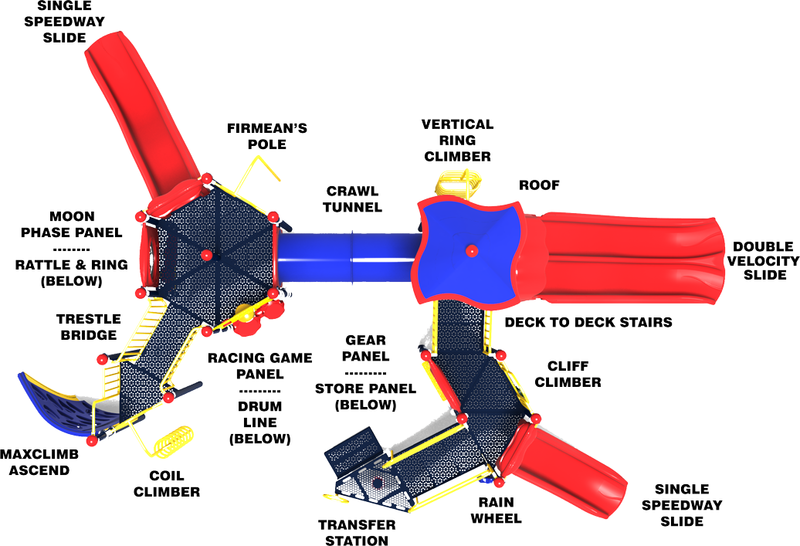 Double Velocity Slide that lets kids socialize by racing each other down to the bottom. Single Speedway Slide at 4ft. deck height for younger children. Single Speedway Slide at 6ft. deck height for more adventurous children. A Crawl Tunnel and Trestle Bridge connecting the play decks. A Rosetta Roof provides partial UV protection, and teaches kids common phrases in foreign languages. A Cliff Climber with foot and hand holds for less confident children. Vertical Ring Climber and Coil Climber provide a challenging method of getting atop the play decks. A Maxclimb Ascend provides a unique and challenging vertical climb activity for older children. Drum Line and Rattle & Ring allows children to explore their musical nature. Gear Panel and Moon Phase Panel provide further outdoor learning opportunities. A Fireman's Pole provides a classic and quick trip to the ground level. The Store Panel and Rain Wheel inspire imaginative play while on the playground. ADA accessible via Transfer Station with Handhold for inclusive play. The structure is constructed from lead-free polyethylene coated punched steel decks, 3.5O.D. galvanized 12 gauge aluminum posts, UV stabilized rotationally molded plastic components, and high-density polyethylene activity panels. Upright posts are powder-coated to customer color specifications, and are backed by a Lifetime Limited Warranty. All plastic components and decks come with a 15 year limited warranty. The metal pipes, rungs, loops, and rails associated with climbers come backed by a 50 year limited warranty. 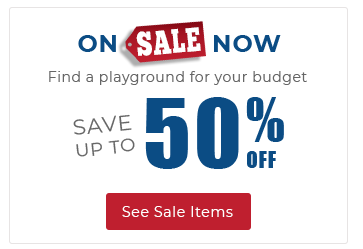 American Parks Company will help you plan, build, and install your ideal playground on budget. 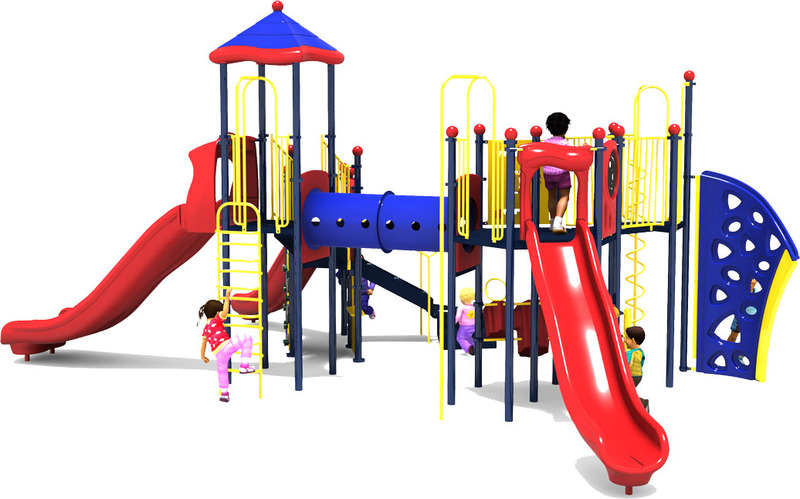 We have over 30 years combined experience building playgrounds that last, coast to coast. 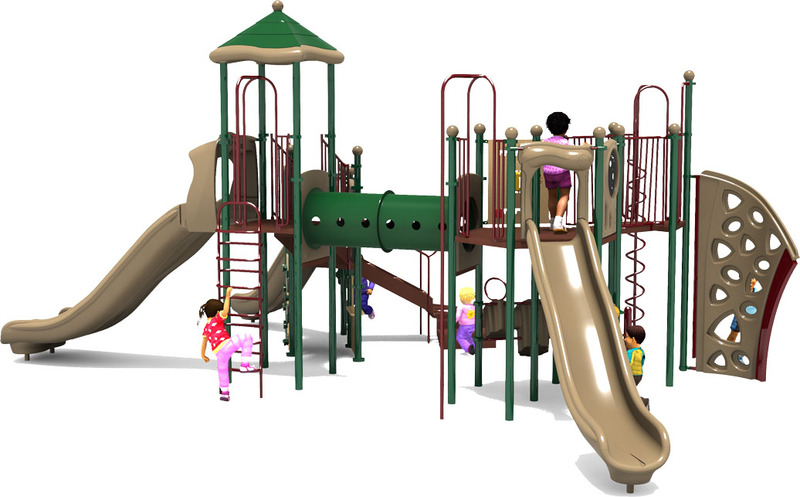 Contact one of our playground specialists for more information: 1-800-381-4491. 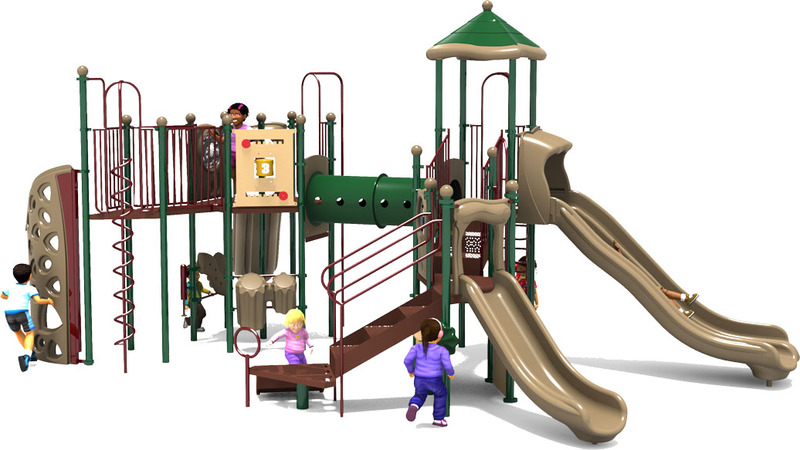 3 Slides, 4 Climbers, 4 Activity Panels, Crawl Tunnel, Trestle Bridge, Rosetta Roof, Drum Line, and much more!